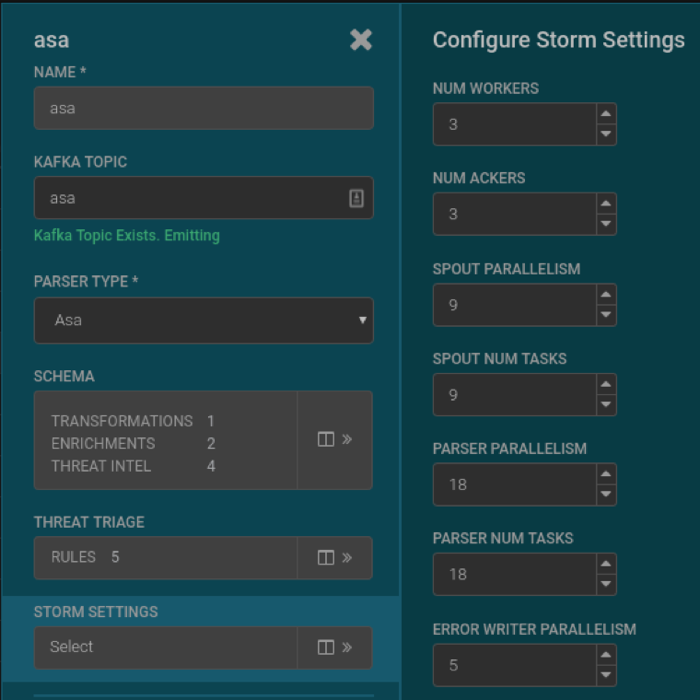 Set the parser Storm settings in the Management user interface. The command allows the Kafka topic to be written to continuously during testing so when the parser is restarted, the topology will not be flooded with events. Increase the Parser Parallelism and Num Tasks values in increments based on the number of workers. As you increase the Parser Parallelism and Num Tasks values, check two Storm statistics: Parser Capacity and the number of tuples acked in a 10-minute window.